Hi guys!! 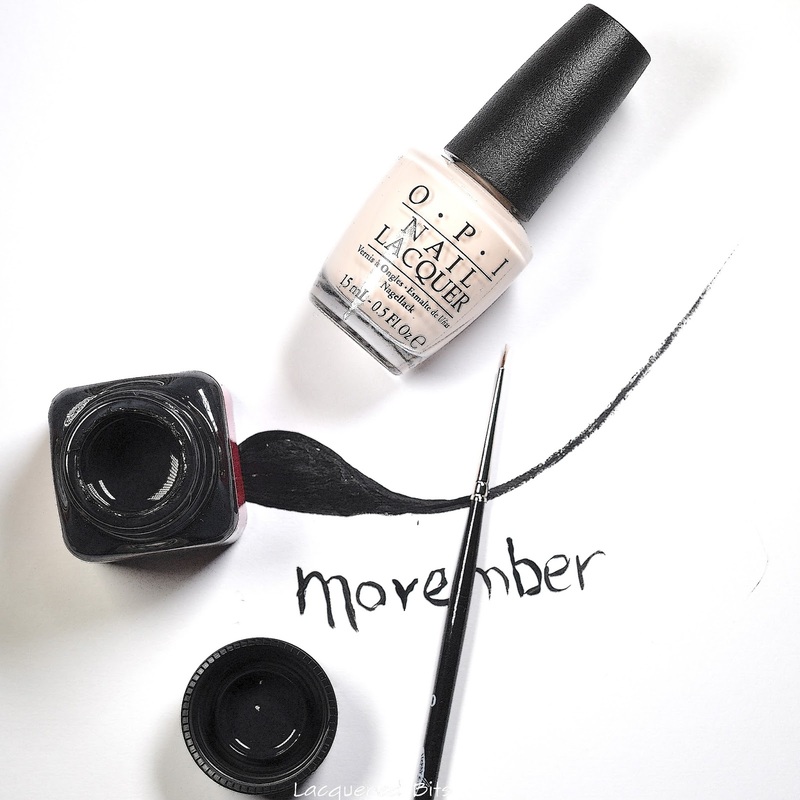 It is the month of November, so it is time for me to do something to go with the Movember. 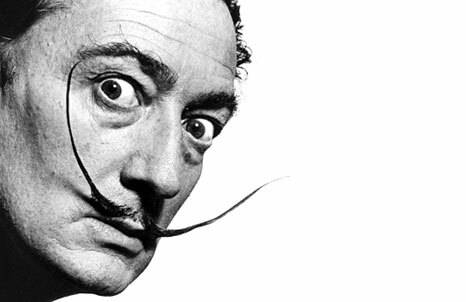 I am sure you all probably know by now what Movember is about, but I am going to explain it anyway, just to be sure. It is the month when the guys shave their moustache on the 1th of November and then leave it grow till the end of the month to raise awareness about the prostate cancer. This is the most common cancer (after the skin cancer) among men and if detected early it can be often treated successfully. 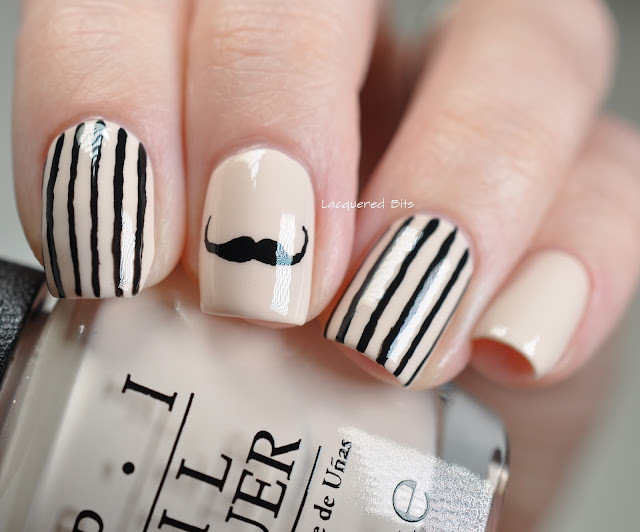 I wanted to recreate Salvador Dali’s moustache, but his were so long and my nails aren’t that wide :). So I decided to shorten them a bit. And as you can see they are not symmetrical. 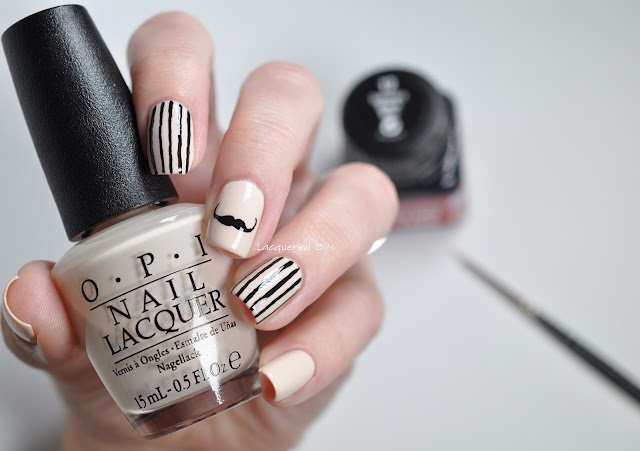 I am sure that Monsieur Poirot wouldn’t like that. I immediately thought of him when I saw them not being symmetrical. I can picture him in my head complaining about it and being all grumpy because of that :D. He is my favourite fiction detective and I have read all of the books when I was a little girl and I didn’t know how to pronounce his name back then, so I read it exactly as it is written :D. Isn’t it amazing how some things remind you of stuff in your childhood (I was about ten when I read those books) and now I am smiling as I am writing this post. So, as my base polish I used O.P.I – Be There In A Prosecco, which is a part of their Fall 2015 Collection (you can read the review here). For the moustache and the stripes I used black acrylic paint and the brush which you can see in the photos. I did all the details free hand, no striping tape or stamping was used. 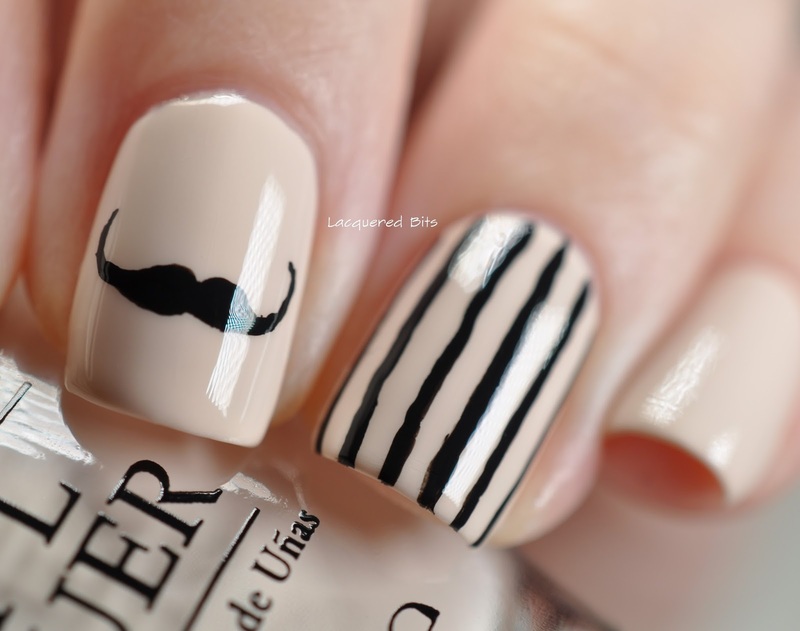 How do you like it and have you done anything related to Movember and what was it? 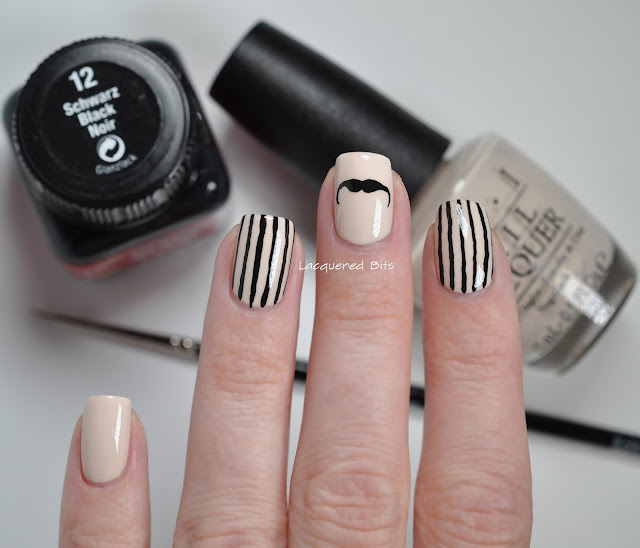 If you like this mani you can share it with your friends or on your social media so that your friends might get an idea for their new manicure.